This historic city on the southern edge of Lake Apopka used to be a Winter-Garden-piccitrus growing capital. Today, it’s one of the fastest-growing cities in the state, with a population that has more than doubled in the past two decades. 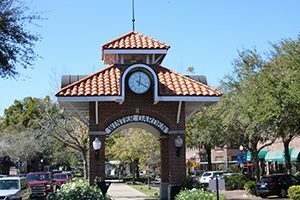 Just a 20-minute drive west from the heart of Orlando, Winter Garden feels worlds away from the buzz of the “Theme Park Capital of the World.” Its historic downtown, which is listed on the National Register of Historic Places, remains the heart of the community. Strolling down downtown’s brick-laden, tree-shaded streets lined with turn-of-the-century storefronts is like taking a step back in time. Winter Garden has long been one of the region’s most desirable places to live, something that can be seen in the wide range of homes and neighborhoods available. Home sizes, architectural styles, and price range are diverse, with waterfront residences typically the most highly valued. Single-family homes make up most of the listings, followed by condo units and townhouses near Florida’s Turnpike. There are still a few lots and land for sale and plenty of new construction. Winter Garden has a wealth of options to choose from – Get in touch with Paul Walker today at 407.607.5023 or via email Paul@Walker.Realtor for more information.